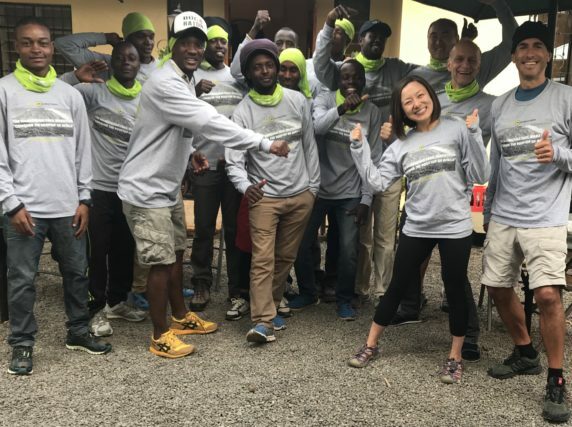 The Kilimanjaro Trail Marathon "Conquer the rooftop of Africa"
The Erik's Adventures Kilimanjaro Marathon is an epic adventure mountain trail marathon that includes reaching the summit of Kili! 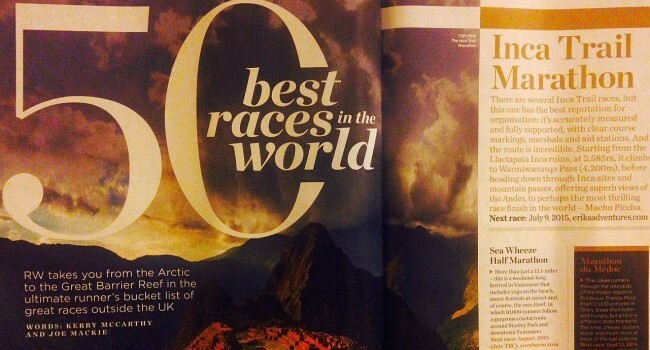 Conquer the mountain in one of the world's hardest marathons! Held Aug 9th -14th, 2019. 30km, 42.2km, and 50km options are available for 2019! 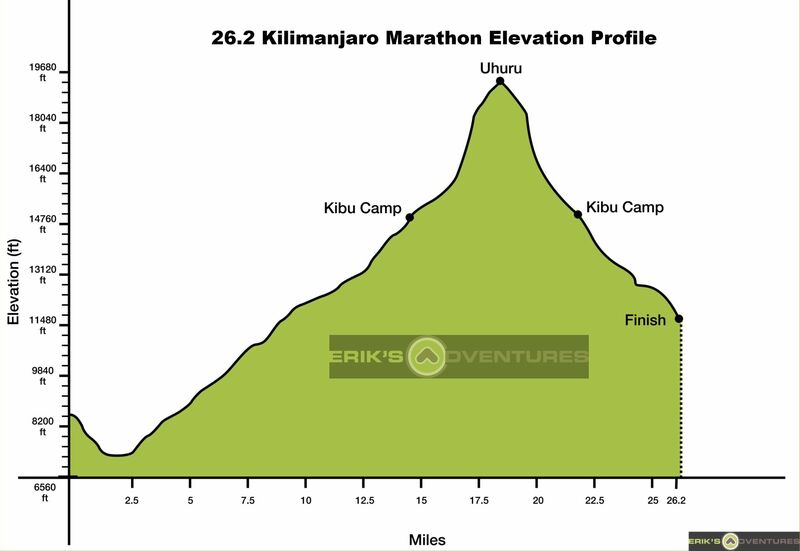 The 2019 Kilimanjaro Marathon 26.2 mile Trail Race to the Top of Africa! 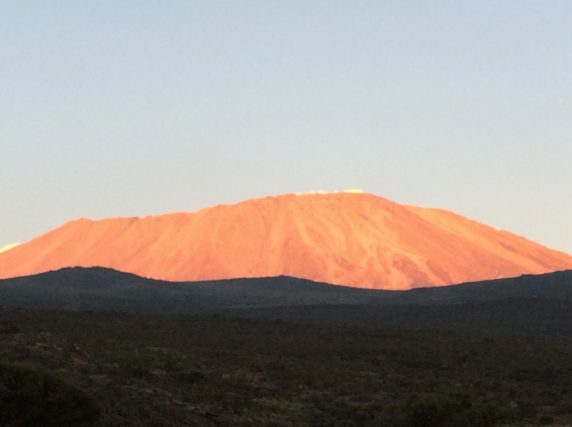 Provides runners the opportunity to summit Mount Kilimanjaro! This bucket list marathon is designed by experienced racers Erik and Myra Rasmussen. We have taken our love and expertise of adventure running and combining it with our many years of experience working on Kilimanjaro to offer a truly unique challenge to the running community. The Kilimanjaro Marathon is surely one of the world’s hardest marathons and one of the most beautiful marathons you will ever run. The 2018 event saw 17 adventurers tackle this challenge in distances of 30k, 42.2k, and 50k all the way to the summit! In 2012, Erik’s Adventures was the first to host an official, accurate, and fully supported 26.2 mile marathon race on The Inca Trail to Machu Picchu. 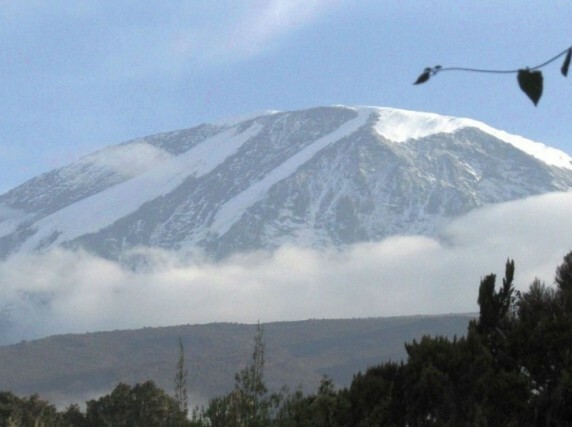 Experienced Runners looking for the ultimate challenge- Summit Kilimanjaro in one day! 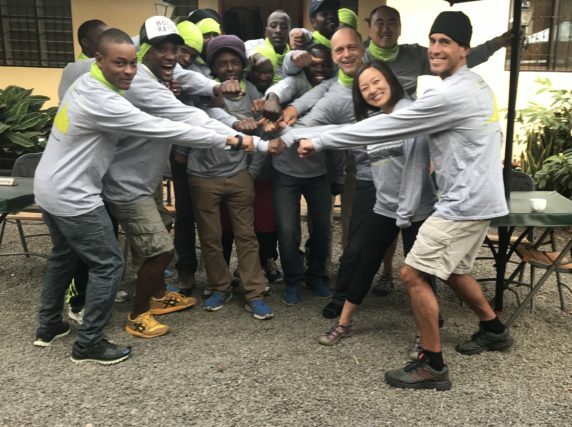 Seven Continents Runners- Make this your Africa Race and notch a once in lifetime achievement in the process! People who have hiked Kili in the past and want to test themselves with a Kilimanjaro one day summit! Choose to do one or both of our pre-marathon tours (options 1 and 2) or just the Race package (option 3). OPTION 1 OVERVIEW- PRE-MARATHON ACCLIMATION HIKE . 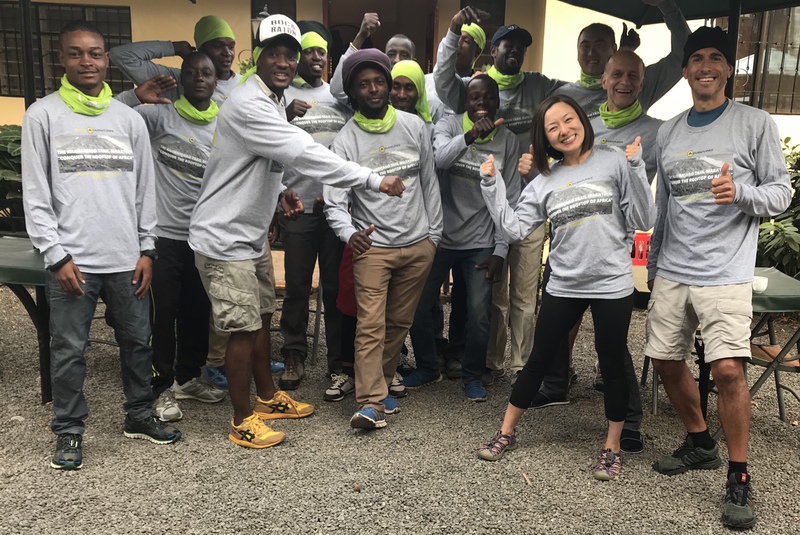 Join us ahead of the event to properly prepare for the altitude of the Kilimanjaro Marathon with a special package- A custom climb of Kilimanjaro on the Machame route with a daytime summit of Kili. 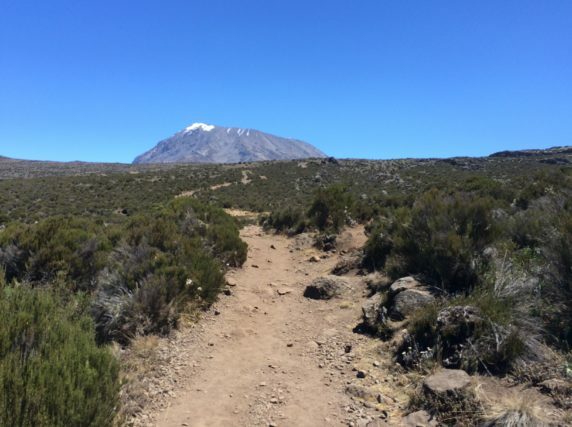 This is a 98 percent completely different set of trails than the race uses and allows you to enjoy a Kilimanjaro hike in a traditional way as well as acclimate to the high elevations so you are ready for the race. OPTION 2 OVERVIEW- TANZANIA LUXURY SAFARI WITH SERENGETI. Take a rest after the Kilimanjaro Machame Route Trek with a luxury 6 night safari that includes Tanzania’s best game parks like Ngorongoro Crater and The Serengeti. You will see an incredible amount of animals including the “Big 5” on exciting game drives and enjoy the luxury accommodations that Serena resorts offer. 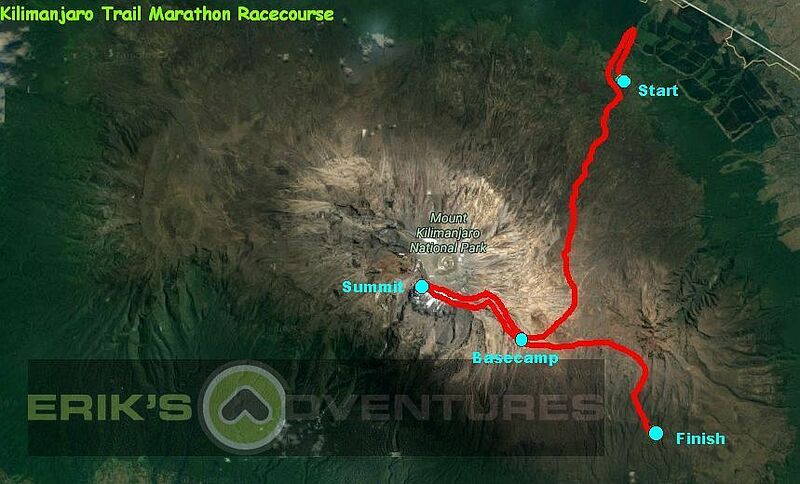 OPTION 3 OVERVIEW- THE KILIMANJARO MARATHON PACKAGE. 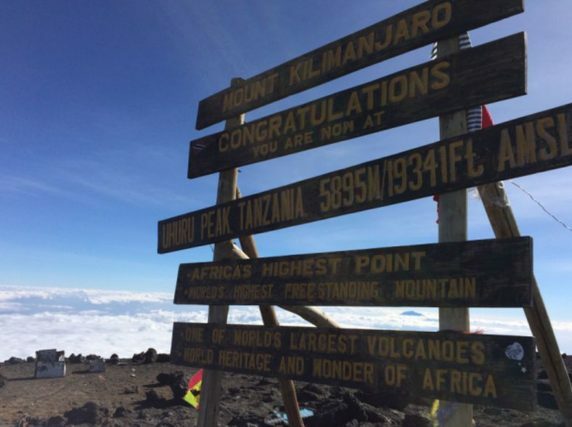 Conquer the mountain with a Kilimanjaro one day Summit! CUSTOM MACHAME ROUTE HIKE FROM $2495 PER PERSON SHARING A ROOM/TENT DAY 1 SUNDAY JULY 28TH- Arrive to Moshi. You will be transferred to the hotel in Moshi following the arrival of your intl flight into JRO airport. Meet and Greet with your trip host upon arrival at the hotel. You will organize your trekking gear for our departure for the hike tomorrow. Rest of day free to relax and settle in. Dinner at hotel included. Overnight in Moshi Hotel. DAY 2: Depart Moshi and start Machame Route. After breakfast, depart to the Machame gate on Mt Kilimanjaro. Your day starts with a briefing, followed by breakfast and a 45-minute drive from Moshi (910m) to the Machame village (1490m). The guides and porters prepare and pack the supplies and your equipment in the village. We will start walking through montane rainforest for several hours. Machame Gate (1490 m) – Machame camp (2980 m). Distance about 13 km Breakfast, Lunch, and Dinner are Included today. 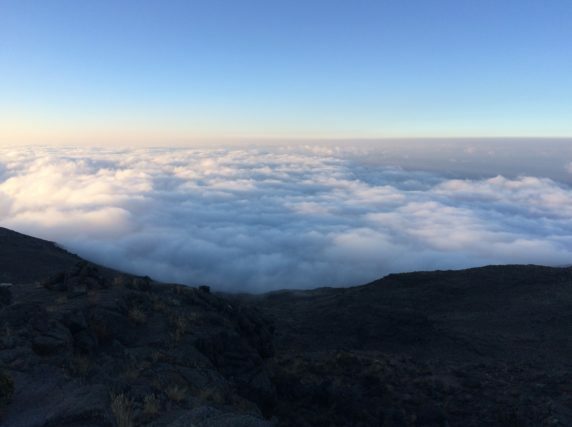 DAY 3: Machame camp (2980m) – Shira camp (3840m) Distance: About 7 km – Habitat: Moorland. You rise early at Machame camp and after breakfast you climb an hour to the top of the forest and then at a gentler gradient through the moorland zone. After a short lunch and rest, you continue up a rocky ridge onto the Shira plateau. By now you will be able to see in an easterly direction, the Western Breach with its stunning glaciers. You are now due west of Kibo and after a short hike you will reach the Shira campsite at 3840m. The porters will boil drinking and washing water, before serving dinner. Breakfast, Lunch, and Dinner are Included today. DAY 4: Shira (3840m)-Lava Tower (4630m) to Barranco Camp. Distance: About 14 km Habitat: Semi desert. The route now turns east into a semi desert and rocky landscape surrounding Lava Tower, where you reach an altitude of 4630m. Lunch is served in a designated area before ascending the rocky scree path to Lava Tower (4630m). Definitely the toughest day so far. After lunch you descend again by almost 680m to the Barranco camping area and after reaching the high altitude of 4630m at Lava Tower, the true acclimatization benefit of this day becomes clear. This descent to Barranco camp offers great opportunities to take some beautiful photographs of the Western Breach and Breach Wall. The camp is situated in a valley below the Breach and Great Barranco Wall. Breakfast, Lunch, and Dinner are Included today DAY 5: Barranco camp (3950m) to Karanga Valley camp (4020m). Distance 6km. Today is an easy day, ahead of the summit day! 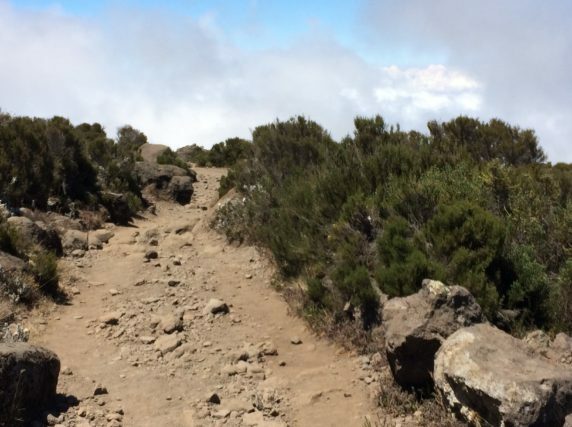 Hike and climb past the Barranco wall en route to the Karanga valley camp. Rest of day to relax before the summit day. Breakfast, Lunch, and Dinner are Included today. DAY 6: Karanga Valley camp (4020m) – Barafu camp for early lunch (4550m), to the Summit (5895m) for a daytime summit experience, then down to Barafu camp. Distance: About 15 km’s – Habitat: Alpine desert. You will head in a northwesterly direction and ascend through heavy scree towards Stella Point on the crater rim. This walk to Stella point is for many climbers, mentally and physically the most challenging on the route. From Stella Point you will normally encounter snow all the way on your ascent to Uhuru Peak. The time you will spend on the summit will depend on the weather conditions. . Enjoy your accomplishment. Then walk back to Barafu from the summit. Here you will have a well earned rest. Breakfast, Lunch, and Dinner are Included today. DAY 7 SATURDAY AUG 3RD: Barafu camp (4550m) to Mweka Gate (1980 meters). Distance 15 km. Habitat: Alpine desert. Today after breakfast we descend off the mountain passing through a variety of terrain and vegetation zones. Upon arrival to Mweka gate, climbers will receive their summit certificates. Afterwards we will transfer off the mountain and back to Moshi where we can have a group dinner and relax. Overnight in Moshi. LUXURY SAFARI PROGRAM FROM $3149 PER PERSON SHARING A ROOM Day 1 SATURDAY AUG 3RD: ARRIVAL TO MOSHI, TZ. Transfer to hotel in Moshi, if arriving at JRO airport, the transfer to the hotel is included. (If coming in from Pre-Marathon trek you will arrive in the afternoon). Dinner included at hotel. Overnight in Moshi. Day 2 SUNDAY AUG 5TH: DEPART FOR LUXURY SAFARI. The drive from the hotel in Moshi to Tarangire national Park takes about 3 hours. This park is spectacular in the dry season when many of the migratory wildlife species come back to the permanent waters of the Tarangire River. Huge herds of wildebeest, zebras, elephants, elands and Oryx gather to stay in Tarangire until the onset of the rain when they migrate again to good grazing areas. Overnight at the Lake Manyara Serena Hotel. Breakfast, Lunch, and Dinner are Included today. Day 3: LAKE MANYARA TO NGORONGORO. After breakfast, drive to Ngorongoro Crater for a spectacular game drive inside the crater. This is the best place in Tanzania to see black rhino as well as prides of lion that include the magnificent black-manned males. There are lots of colorful flamingoes and a variety of water birds. Other game that you can see includes leopard, cheetah, hyena, other members of the antelope family, and small mammals. In the late afternoon drive to Ngorongoro Serena Hotel. Breakfast, Lunch, and Dinner are Included today. Day 4. NGORONGORO TO SERENGETI. After breakfast at the resort, drive to the famous Serengeti plains! Game drives en route to your resort. Overnight at Serengeti Serena Lodge. Day 5: FULL DAY SERENGETI. After breakfast, venture into the Serengeti’s wilderness corners for a full day of game viewing in the park. With a picnic lunch beside you, take your time while exploring this world heritage site, where earth’s largest concentration of plain game still roams free! In the evening return to the Serengeti Serena Lodge. Breakfast, Lunch, and Dinner are Included today. Day 6: SERENGETI TO LAKE MANYARA. After breakfast, depart on an am game drive in Serengeti and head back to Lake Manyara Serena resort for dinner and overnight. Breakfast, lunch, and dinner included today. 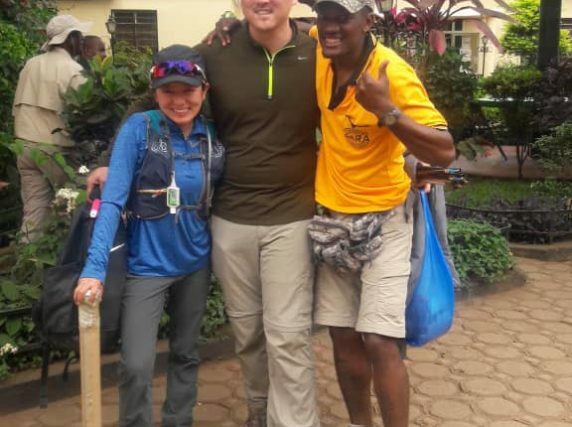 Day 7: FRIDAY AUG 9TH: LAKE MANYARA NATIONAL PARK TO MOSHI. The drive from the Lake Manyara Serena to the game park takes about 30 minutes. Game drive in the morning, which is the best time to view animals in this park. When you approach it from the east, the Rift Valley escarpment looms on the horizon forming an impressive backdrop to the lake. In the tall trees of the ground water forest, monkeys leap from branch to branch, and on the escarpment, elephants stand in the shade. Other animals frequently seen are zebras, impalas, monkeys, giraffes, buffaloes, hippos, and others. In the early afternoon, drive back to the hotel in Moshi for your overnight. Breakfast, lunch, and dinner included today. Please note- All times for tours, transfers, daily arrival/departure times, etc. are approximate and subject to modification at the guide and/or host’s recommendations. Erik’s Adventures reserves the right to alter the itinerary if necessary due to safety concerns, circumstances outside its control (i.e. worker strikes, weather, government, etc.). During the portion of the trip on Kilimanjaro trail (including the race), which is controlled by the Tanzanian government and national park system, we reserve the right to make changes if needed for passenger safety, changing or new government regulations, and other concerns. Hotels mentioned are subject to availability. We may use hotels similar to the ones mentioned in the itinerary. 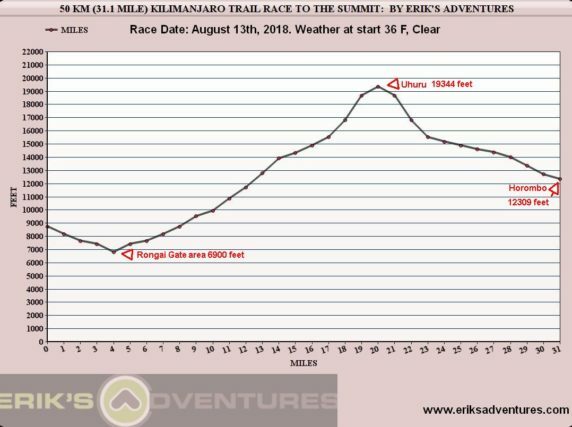 Kilimanjaro Marathon 26.2 Trail Race to the Summit- Official Results.